Archaeologists have discovered a 2,500-year-old steam bath in Guatemala, with tunnels and steps carved into the rock. The complex is one of the oldest, most intact steam baths found in Mesoamerica. The Polish team began excavations five years ago, but initially assumed the complex was something a tad more grim. The tomb-turned-steam bath is located in the ancient Mayan city of Nakum. The case of mistaken identity began with the tunnel bored into the rock, initially believed to be a passageway leading to a tomb. Instead, it was the entrance to a steam bath and where its excess water flowed out. A few steps inside the tunnel and the archaeologists discovered stairs on either side that lead into the complex. Inside, carved rock benches line the walls, where the bathers used to indulge in the heat and steam. The team also discovered a large hearth that they say was well used, indicated by the thick layer of burnt material. Here, large stones would likely have been heated and splashed with water to produce steam. The rock crumbling in certain places provides additional evidence to the likelihood the room experienced high temperatures. The use of steam baths for ritual purposes still persists by those in the region today, sometimes attended by pregnant women in the belief it will help them to have an easier delivery. “In Mayan beliefs, caves and baths have an almost identical status. This is where both gods and first humans were born and from where they entered the world. Such places are considered entrances to the underworld, inhabited by gods and ancestors. Caves and baths were also associated with fertility, as the source of life-giving water,” said Dr Jarosław Źrałka, from the JU Institute of Archaeology, who co-directs the excavations. The bath was in use from around 700 BCE to 300 BCE. After, it was buried in mortar and rubble. "Perhaps it was related to the change of dynasty, which ruled in Nakum, or other important changes in the Mayan social and religious life," Koszkul told Science in Poland. Researchers have previously found remnants of baths used by the Mayans but none as intact as this one. 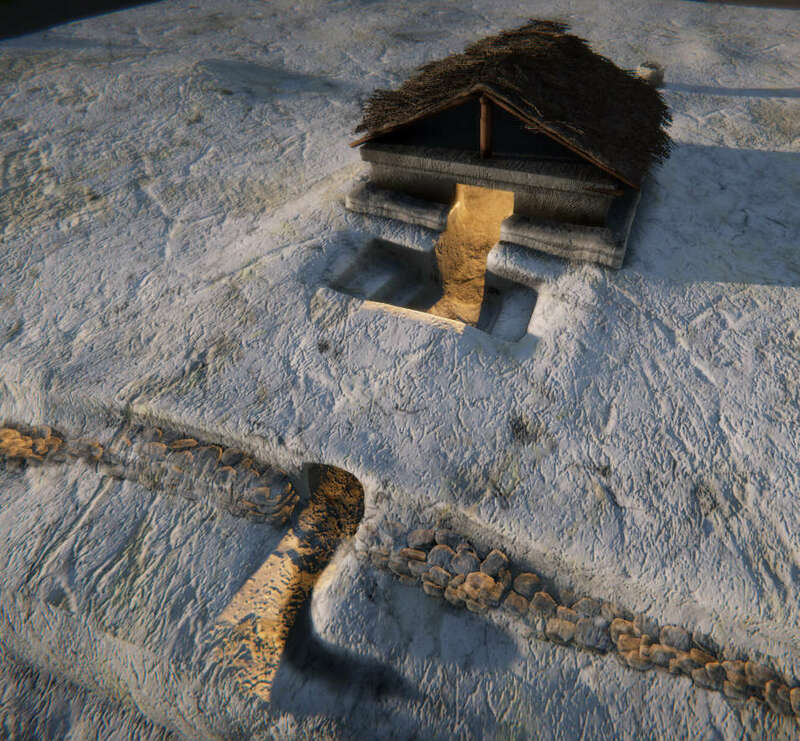 Digital reconstruction of the Mayan stean bath. Piotr Kołodziejczyk (Proyecto Arqueológico Nakum).